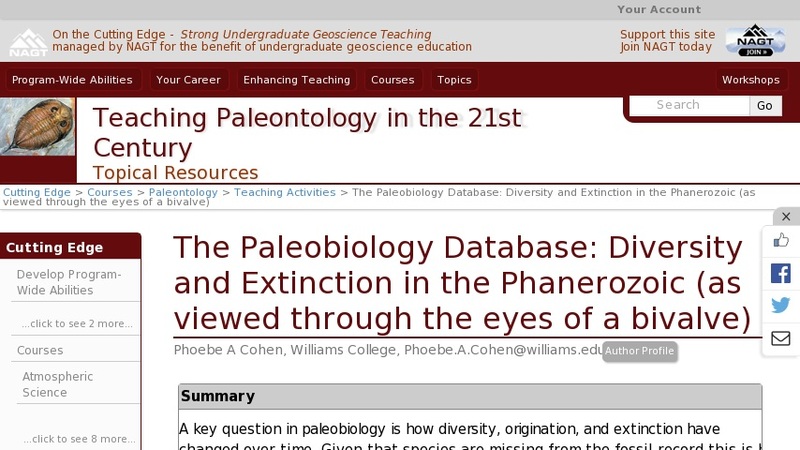 A key question in paleobiology is how diversity, origination, and extinction have changed over time. Given that species are missing from the fossil record this is hard to determine directly. However, we can measure how fossil diversity has changed over time, in the hope that the pattern of diversity change seen in the fossil record accurately reflects the pattern of true diversity change. One problem that arises with this approach is that the way that we count our fossil taxa can change our view of the diversity of life through time, so in this lab we will use the Paleobiology Database to play around with a few different methods of data analyses to get at a picture of "true" biodiversity. In addition, we will examine the effects of mass extinctions on bivalves at different taxonomic levels.